Nothing but the best! 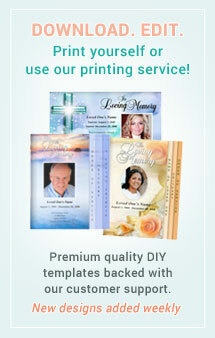 Our ready-made funeral program templates offer the largest selection of easy-to-use, do-it-yourself programs. 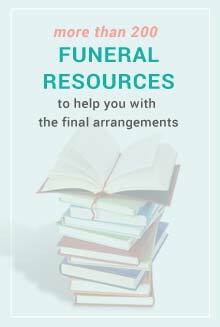 Our easy-to-use template is easy-to-use, versatile and can be used for any funeral or memorial service. 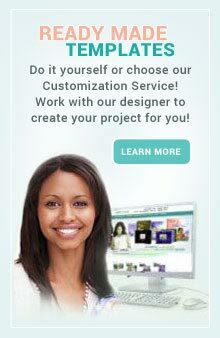 If your looking for great quality designs, backed with our friendly customer support, you've come to the right place! You will receive our friendly customer support, step-by-step video tutorials, FAQs, and extensive questions database with every purchase. 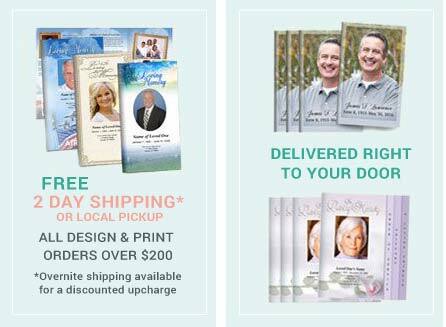 We want to help you get started on producing a beautiful printed memorial that honors your loved one’s memory. Our ready-made templates are available in various layouts to help you create any type of program, card, bookmark, or announcement. 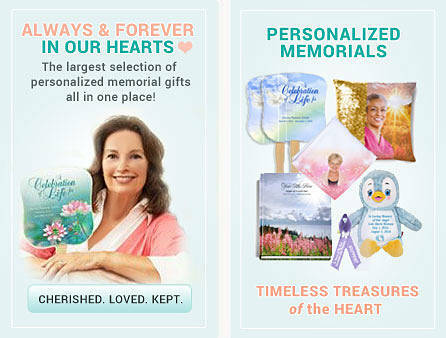 Create your program and add embellishments with our funeral related clipart and elegant word art. We include filler-text to help guide you along which you can tailor to your specific service. 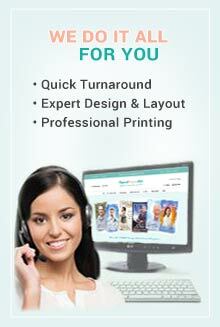 Select from our variety of background designs and layouts to find the perfect background and layout for your loved one. All templates are delivered with an immediate download so you can get started on editing your program right away. 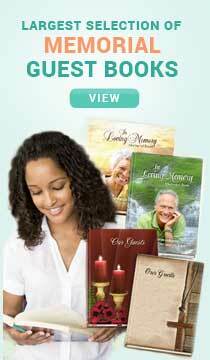 Each purchase will include a download of your chosen design in Word, Publisher, and Apple Pages.